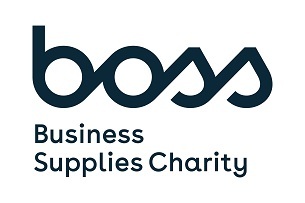 The BOSS Business Supplies Charity is the registered charity established to provide for the needs of individuals who have worked or currently work in the stationery or office supplies and services industry and their dependents. The fund is managed by a group of Trustees who meet twice a year, and who actively raise money via numerous fundraising events. This is supported by regional BOSS committees who help to raise awareness and funds at their events throughout the year as well as generous donations from The Society of Old Friends and several individual donors. Who does The BOSS Business Supplies Charity help? The BOSS Business Supplies Charity was established to assist people and their families who have worked or who currently work within the stationery or office supplies and services industry who may have fallen on hard times or are unable to work due to disability or ill health. Anyone who has ever worked in the industry, in whatever capacity, be it for a manufacturer, retailer, dealer, wholesaler, service provider or mail order company are eligible to apply for assistance. The Fund has helped many people through the years, by paying for new windows, school uniforms for children, mobility items or regular housekeeping costs - and many other needs. 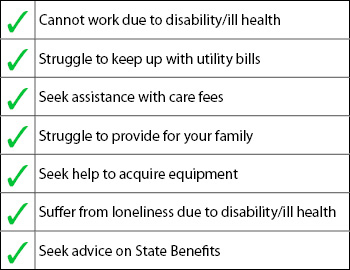 Financial assistance is subject to application. If you qualify for help from the BOSS Business Supplies Charity, after an initial telephone consultation, you will be offered an appointment in the comfort of your own home where a member of the Fund will collect necessary information to assess your situation.